Build a gaming empire! 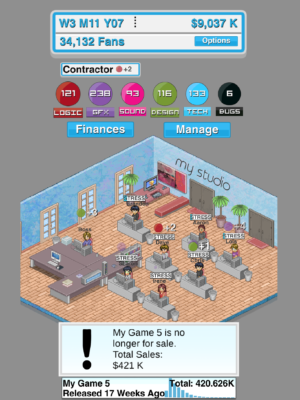 In Game Studio Tycoon you begin as a new game dev looking to make it big in the gaming industry. Over the next 40 years you will be able to make games of all sizes on over 40 different platforms! Do you have what it takes to be the best in the business? 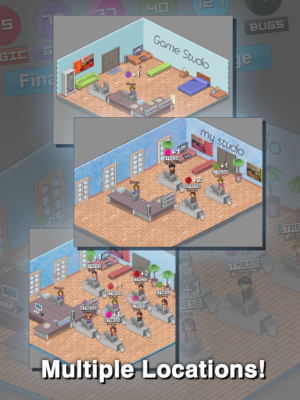 – Run a studio! This business isn’t just about making games, it about staying afloat! Have total control of your company including how much investors should own of it. 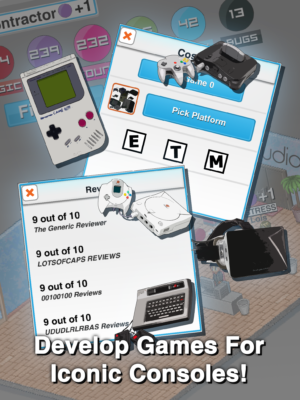 – Develop on over 40 recognizable consoles from the past and near future! – Manage a team of developers to make the best games possible! – Research new game types and platform options! 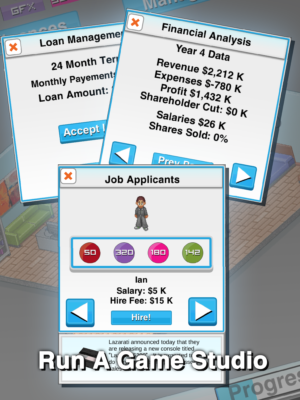 – Hire contractors to help improve your games! – Tons of replay value – no two playthroughs will ever be the same!